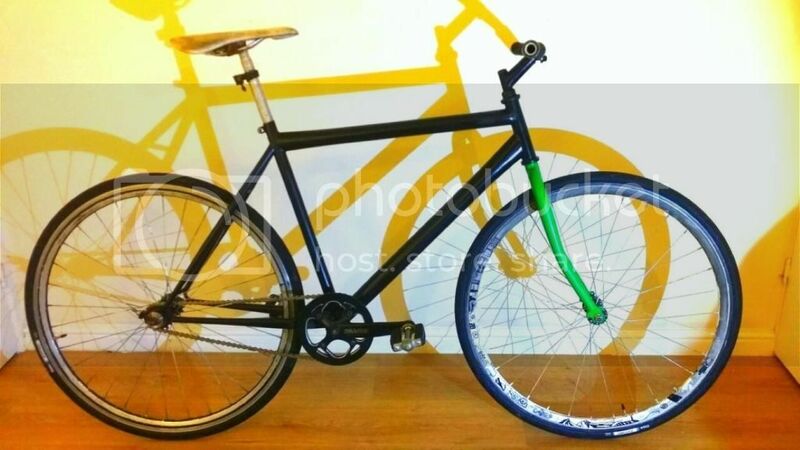 MTBE - View topic - Let see your single speeders! 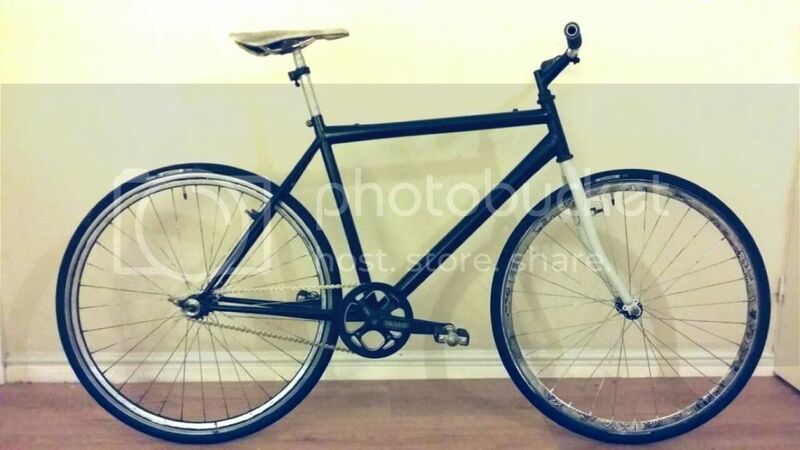 Let see your single speeders! Pain is just a weakness leaving the body. Finally finished! 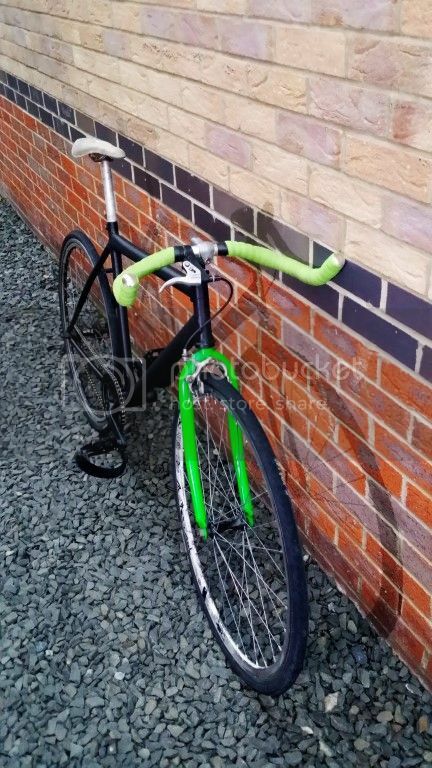 most of it second hand but well pleased with the final outcome - really pleased with the Funn stem/bar combo for £25, also got a Surly stainless steel 32T chainring for a fiver - a very light, very nimble, very fast bike! What forks do you have on that mate? Thinking about building up a SS for fitness. I got my SS out for the first time in a while, and its just a great bike for fitness and running around on. 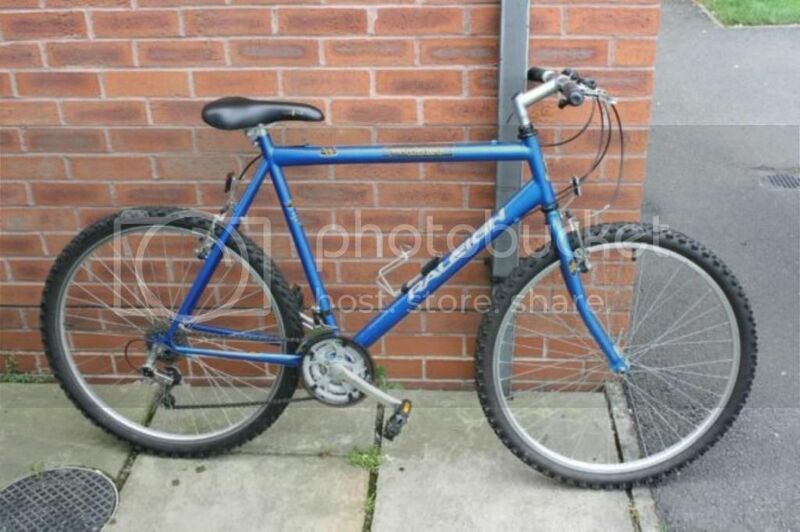 Heres mine, is my commuting machine, its a 90's Rayleigh I picked up for nothing years back, then most things have been changed on it for one reason or another, again with just old bits laying around, like steel flat handle bars from my wifes old bike. 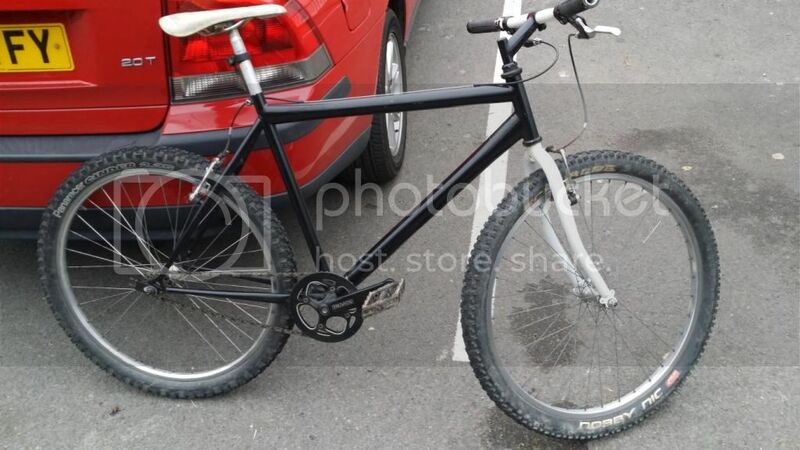 Its my commuter bike. I had stripped it raw and covered it in Krust and waxoyl, but still once the salt was on the road it needed regular reapplication (winter before it was Krust and lacquer. but the salt got under that). 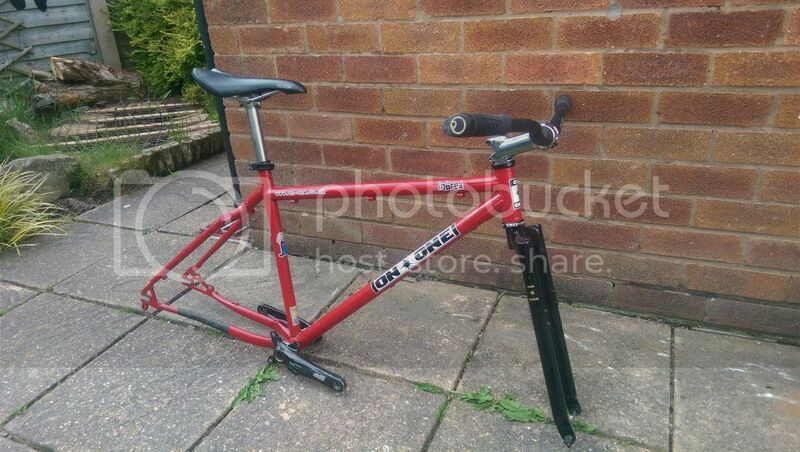 So I sprayed it black at christmas time (after hacking off unused bits like rack mounts and bottle mounts). -and following my last line above I have now gone fixed, I got some 700C wheels off a friend, and they fit (after putting a wider axle on). Here it is (awaiting solving the brake and pedal situation -I needed a long drop calliper for the front). Heres the early stages of my ss build. 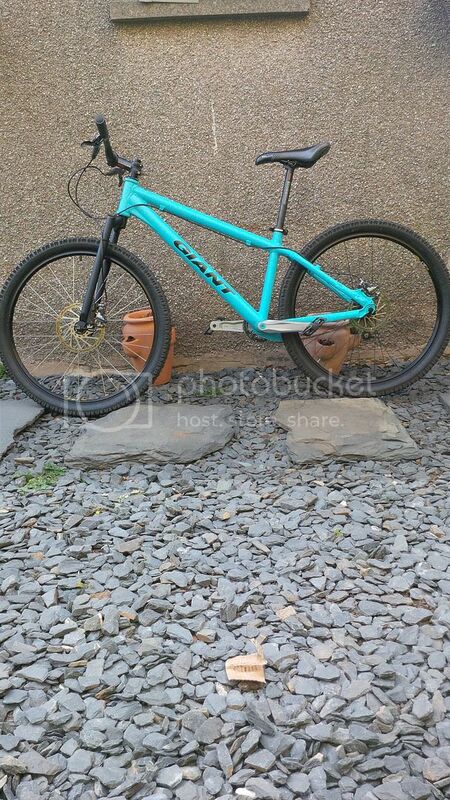 Going to be using it for daily commuting to keep the miles off my Spectral and to hopefully improve my fitness. Its starting as a real budget build but can see me upgrading parts when its fully built. Hope I can eventually get it looking as good as some of the ss builds on here. 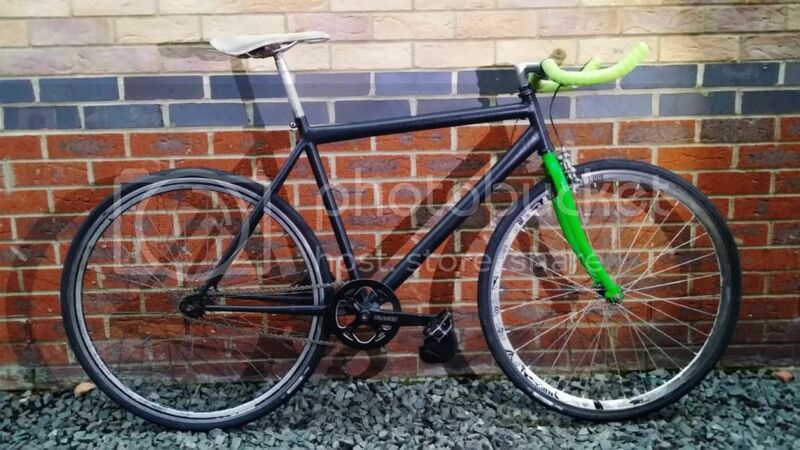 Genesis stem - " "
Genesis seatpost - " "
Genesis saddle - " "
I'm currently hunting for a cheap set of wheels for around £50 but am very tempted by the reet'ards on offer at £79 at On One. 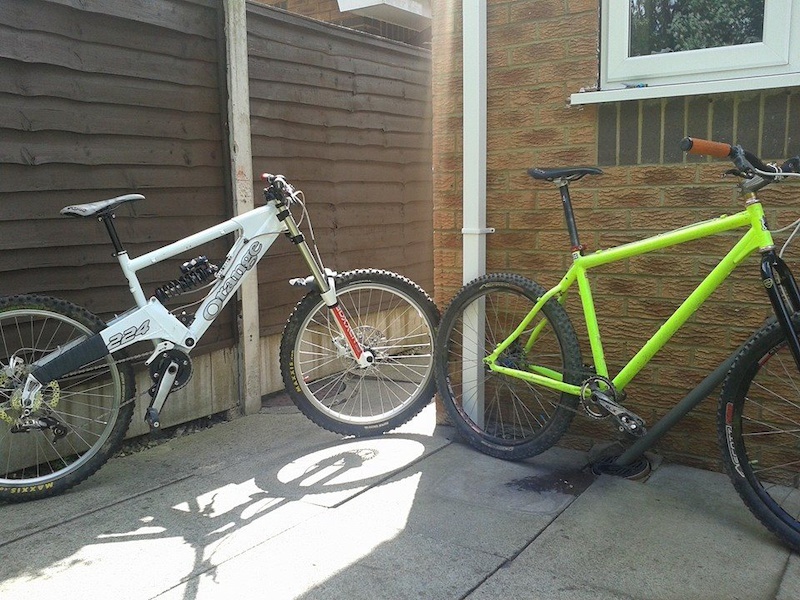 On the right.... obviously P7 ss/rigid with 29er forks.